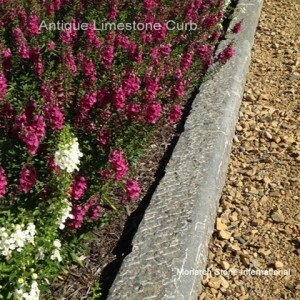 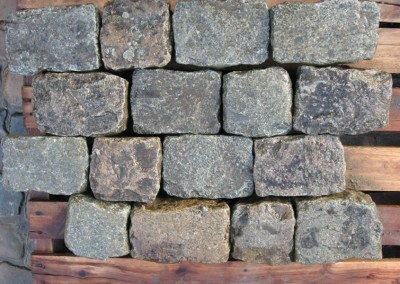 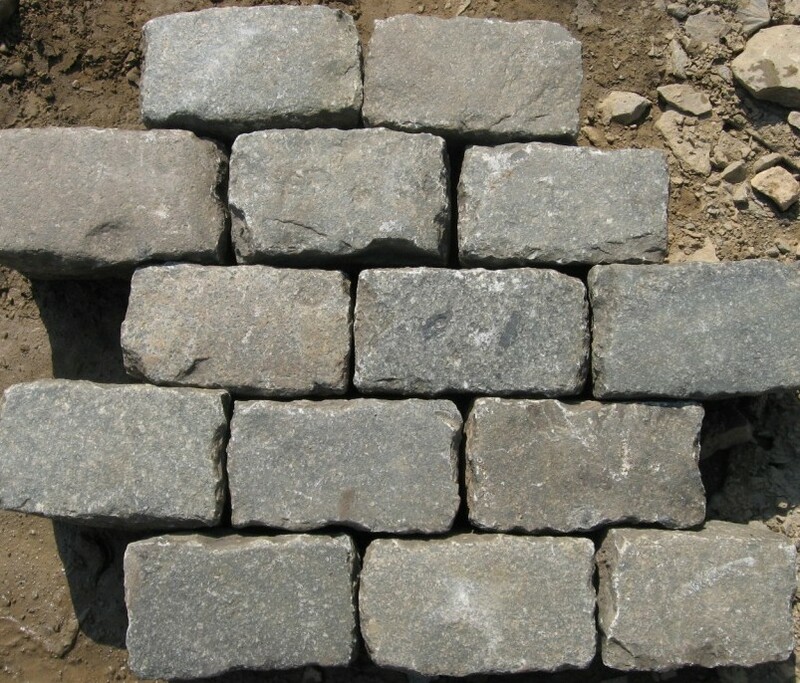 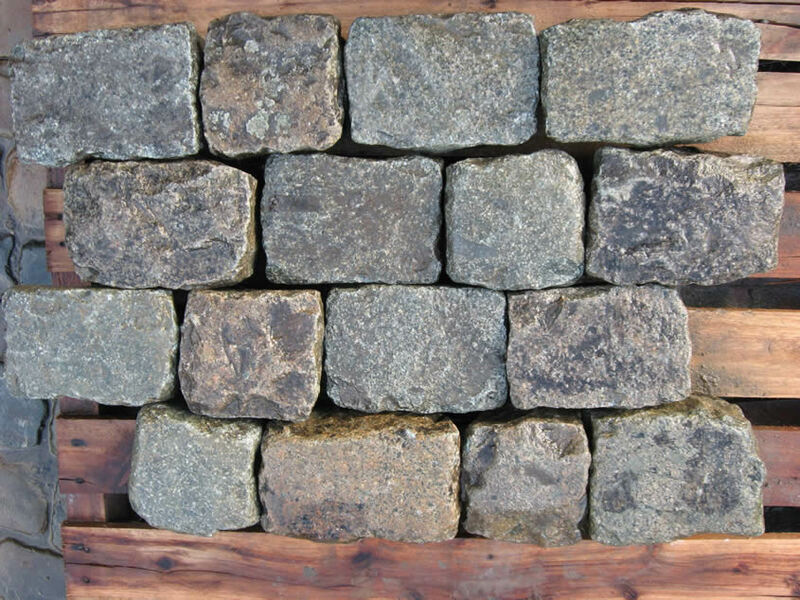 Antique reclaimed GRANITE Historic European Cobblestone driveway or walkway pavers add authentic old world charm to your project! 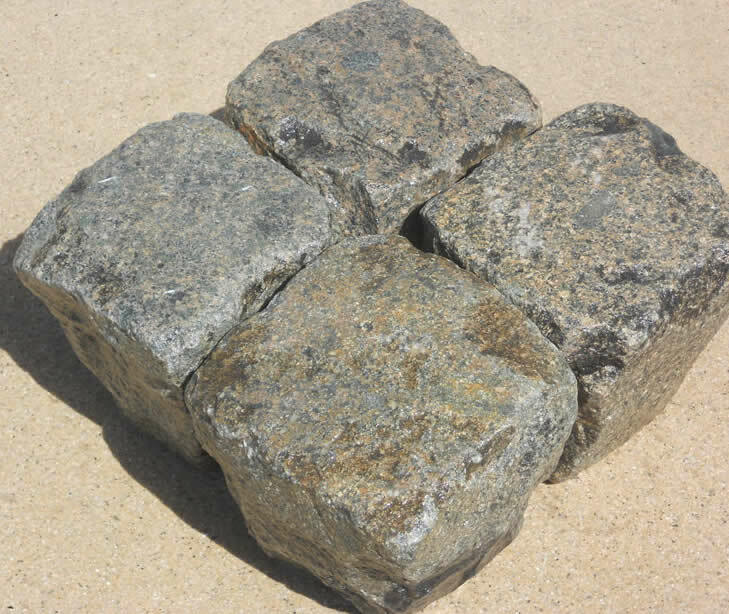 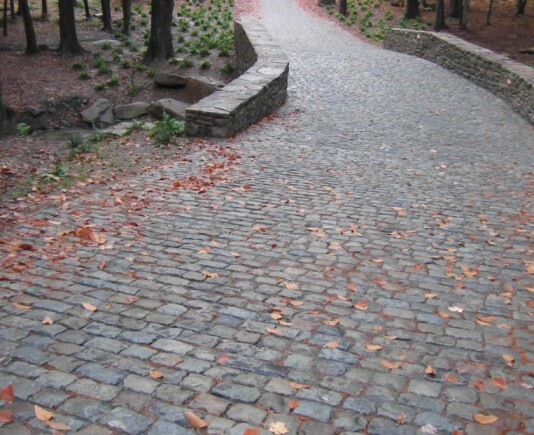 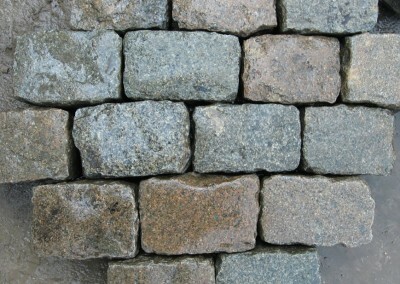 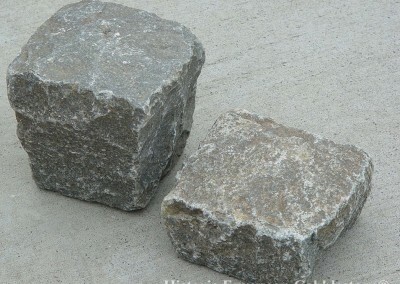 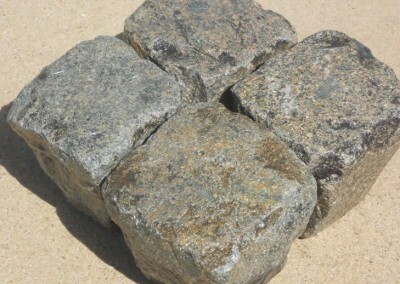 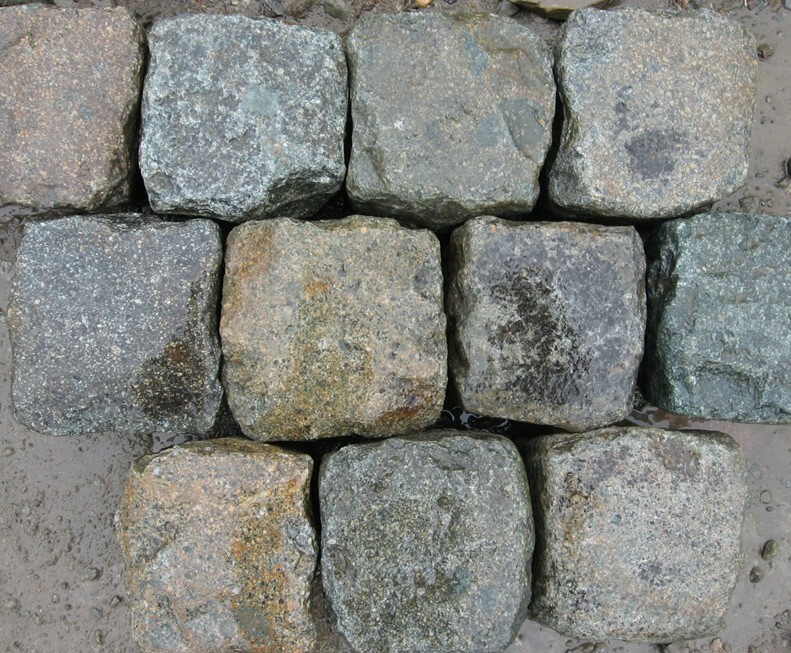 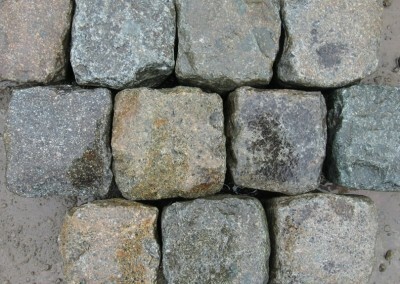 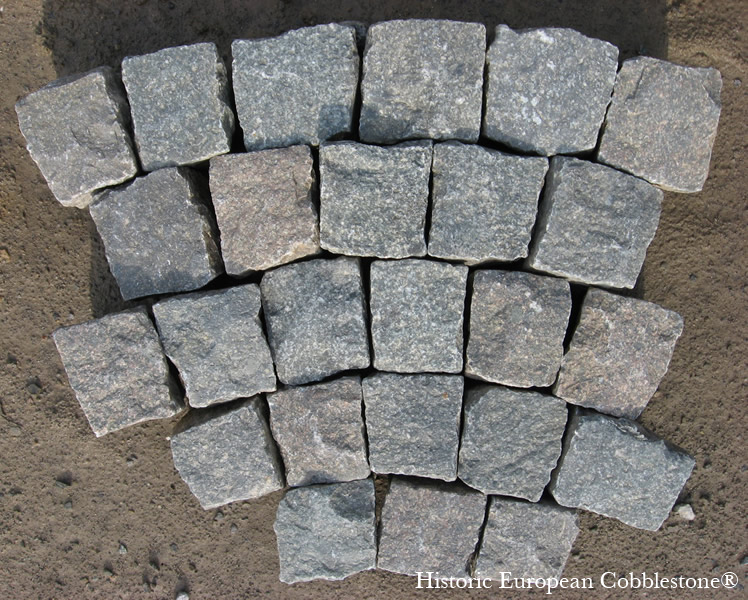 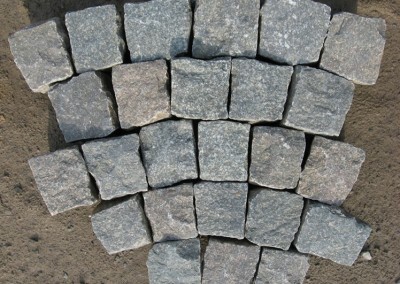 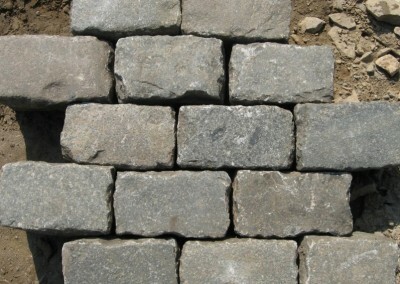 The preferred stone for centuries in street paving and building applications, also known as ‘Belgian Block’ and granite ‘setts’, the natural color range of these old granite cobblestones have variations of gray, green, rust and earth tones. 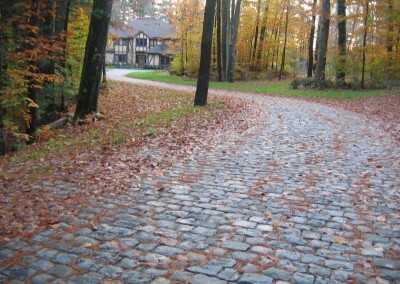 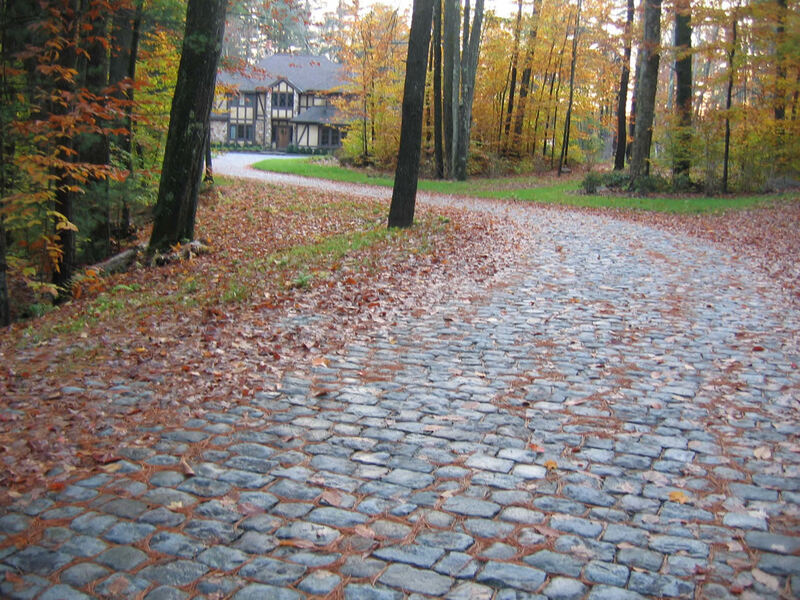 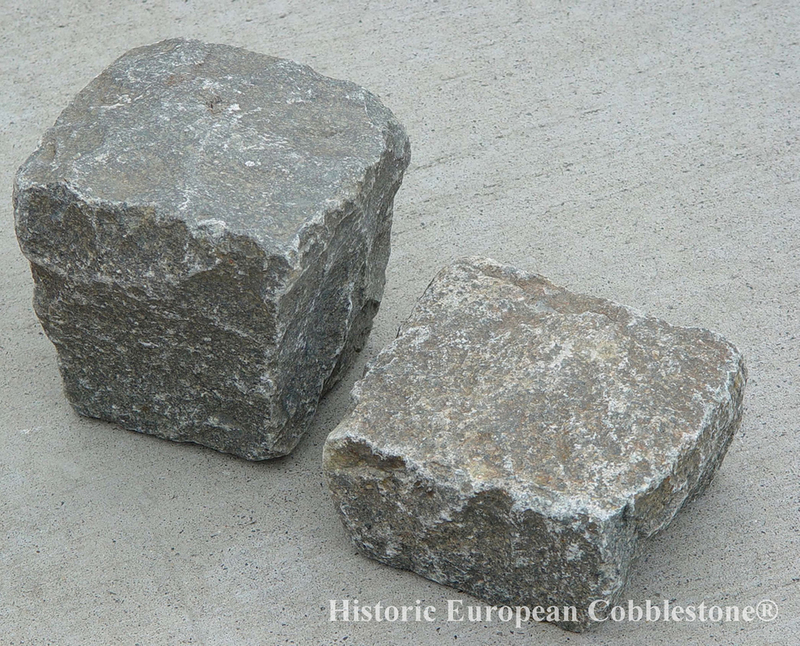 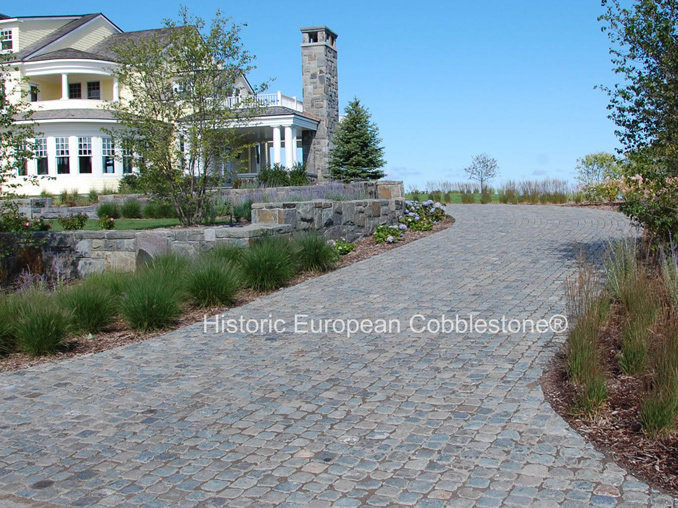 The well worn tops and gently tapered sides are unmistakably hand-made 100 to 400 year old granite cobblestone for your driveway or walkway, imported from Europe! 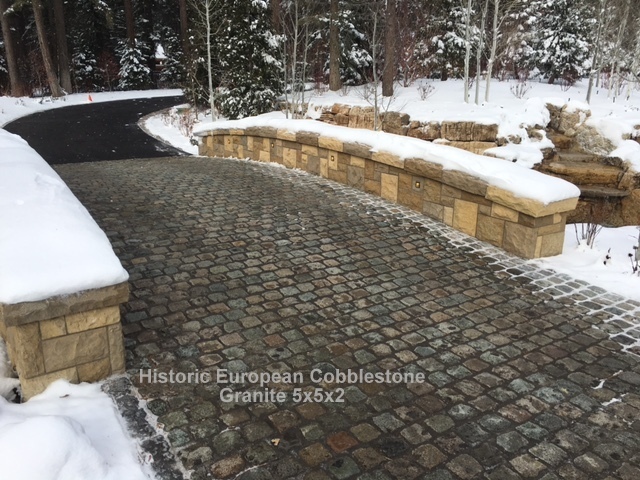 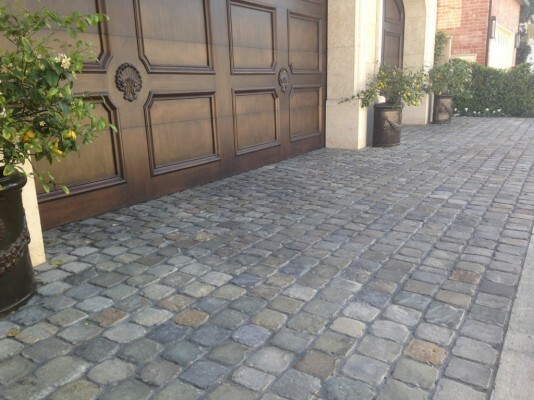 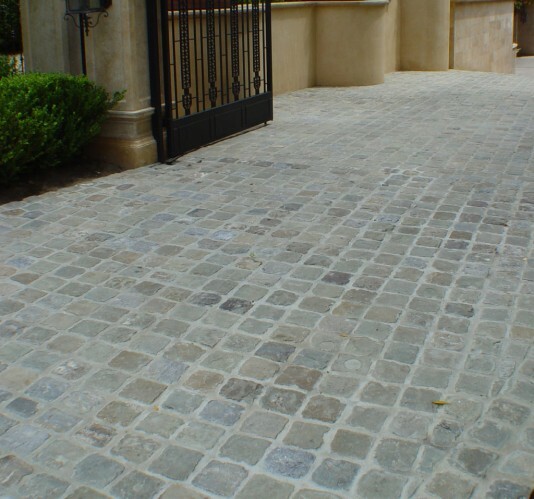 Reclaimed antique Granite cobblestone is literally history beneath your feet, lending timeless beauty as paving for driveways, motor courts, walkways, courtyards, banding and edging. 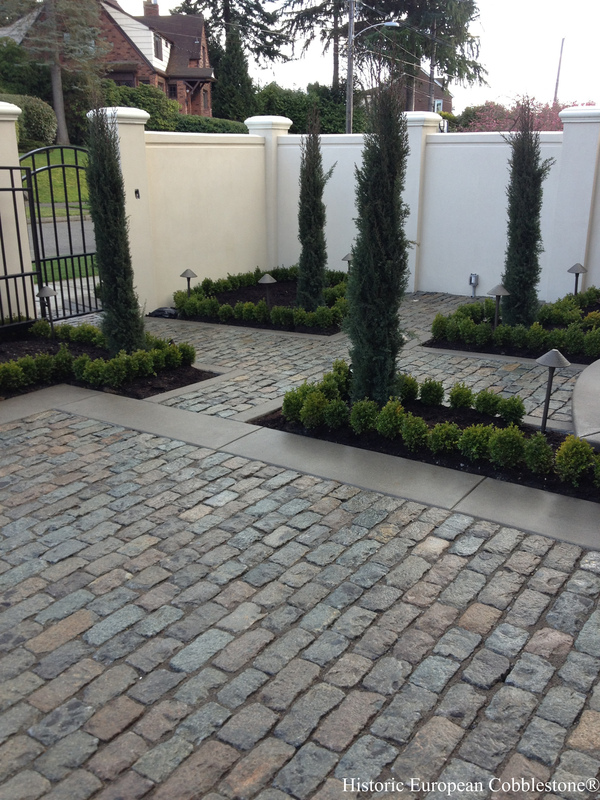 We’ve supplied beautiful projects located across the country from Pebble Beach to New York! 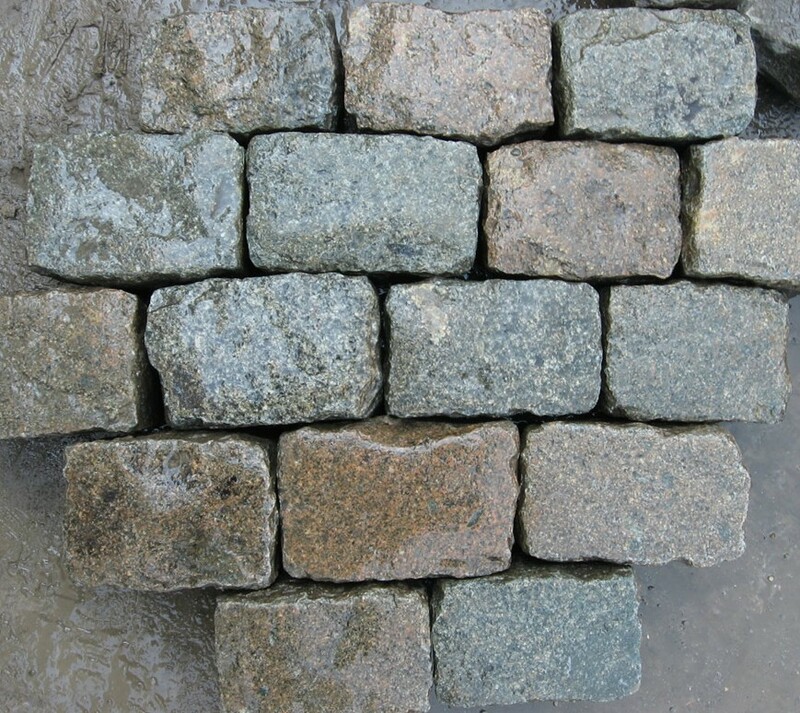 Available in SIX different sizes, and two height options: original FULL height or SAWN @ 1.5 to 2″ for mortar set applications.